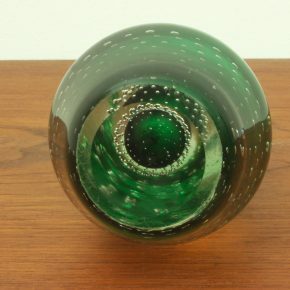 Handblown vase in clear glass over green with controlled bubble design. 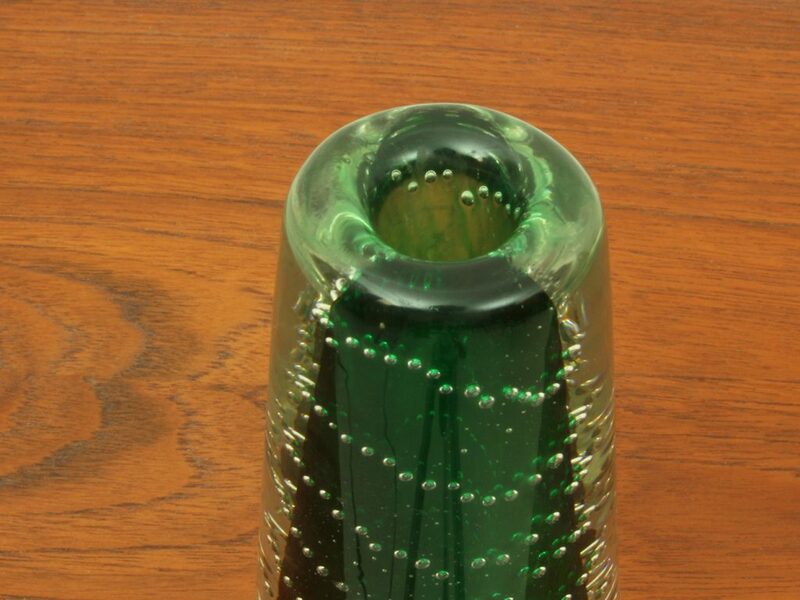 Gunnel Nyman studied furniture design in Helsinki. 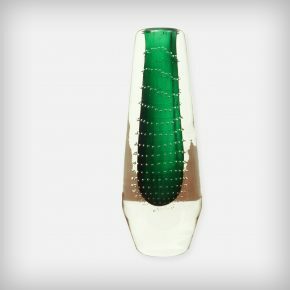 During the post-war era she transitioned to glassware & collaborated or worked on commission with various glassworks including Riihimäki Karhula-Iittala and Nuutajärvi. 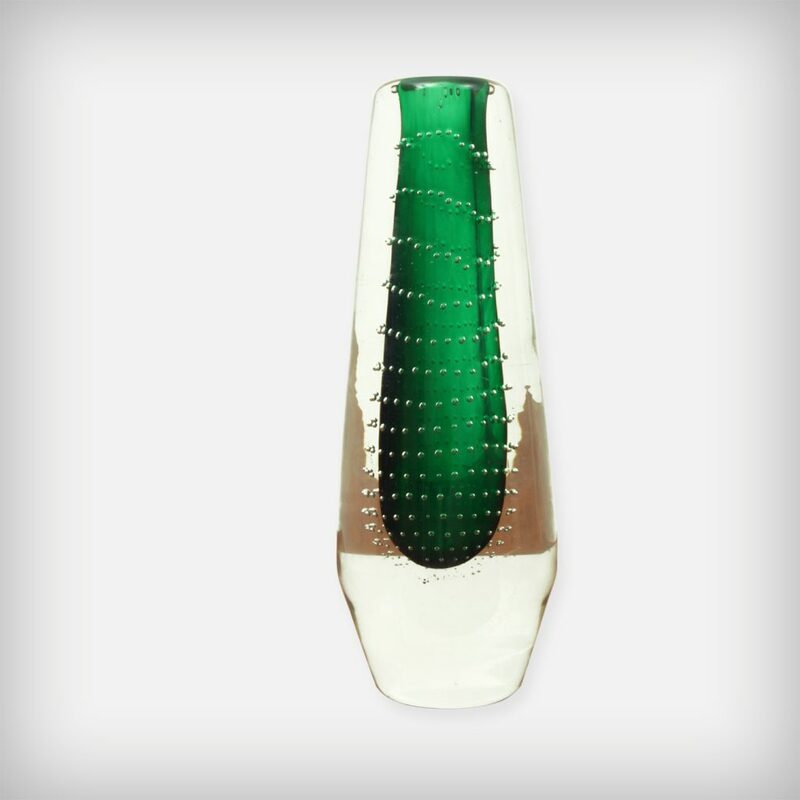 Her work features organic lines & focuses on the characteristics of glass itself. 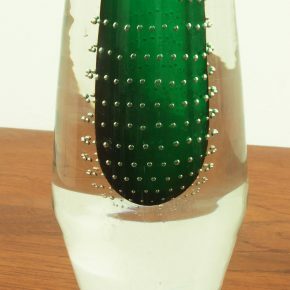 Nyman's glassware is exhibited in museums internationally. 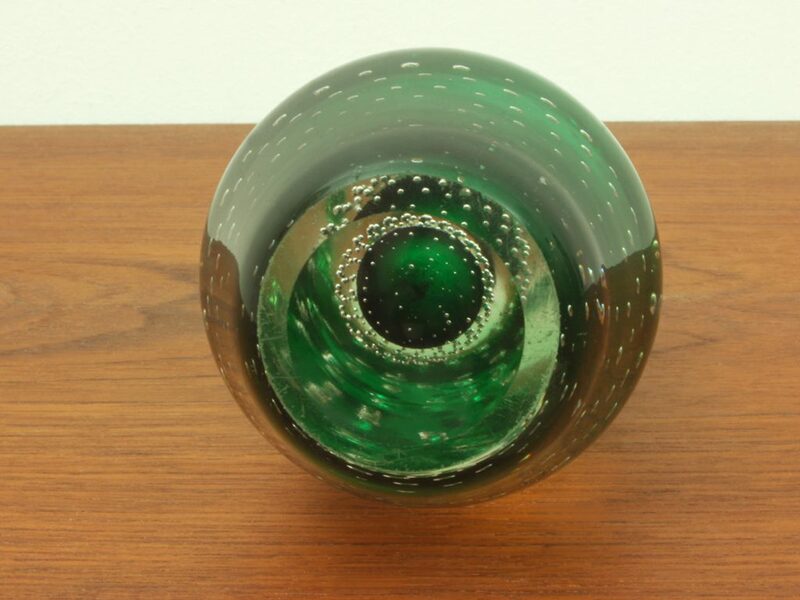 Since the 1930s she experimented with glass & air bubbles. The last 2 years of her life was the most intense period of her creativity. 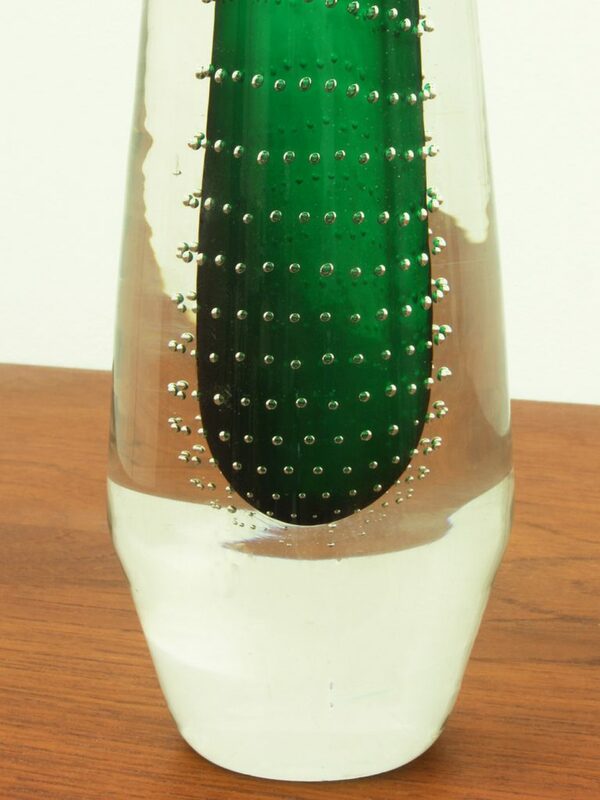 The design of this vase is from that period (1947-1948). 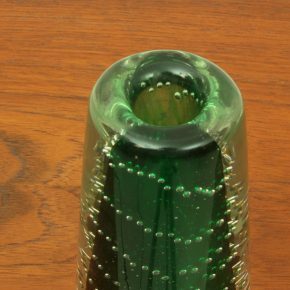 Theresienthal Glaswerke took over the production of this vase in the 1960s/70.